As you would all know, I love dressing up. I also love eating. 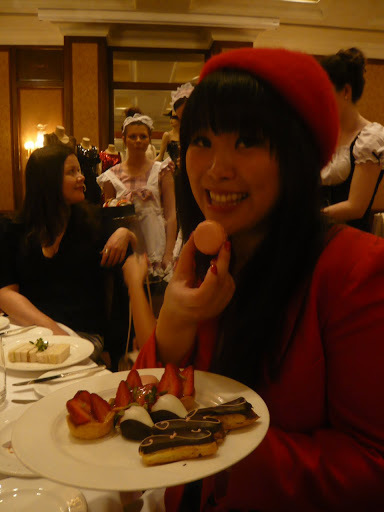 Especially fancy cakes and such, and especially when it’s for a good cause. 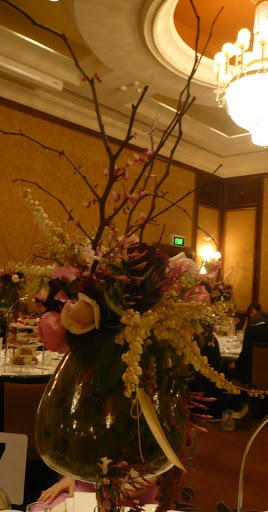 So I was delighted to attend National Breast Cancer Foundation fund-raiser L’Heure du The at The Langham Hotel on Saturday. 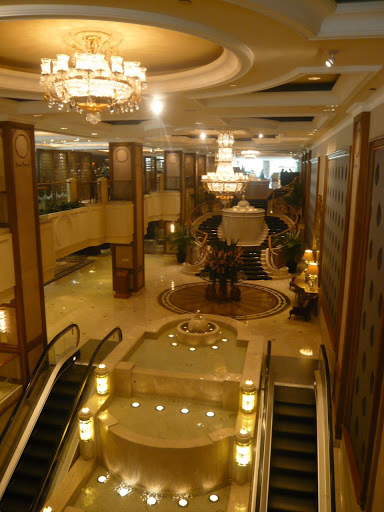 Such a glamorous hotel! 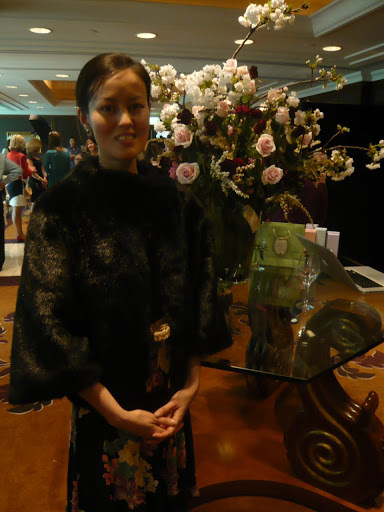 The delightful Kyra Pybus of Pybus PR managed not only to help put the event together, but to look outstanding in this gorgeous Luca Luca dress from Paris 99 (stay tuned – I’m going there this Wednesday so will have more for you later this week!) 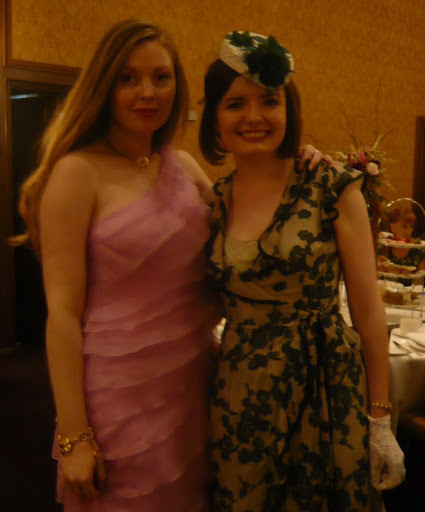 Here she is with a lady called Jess who looked stunning in a hat that she made herself! Clever AND beautiful. Like all the ladies I know, of course! It was a lovely afternoon filled with tea-sipping thanks to Madame Flavour teas, yummy treats from Pierrick Boyer and this stunning display from Madam Virtue. 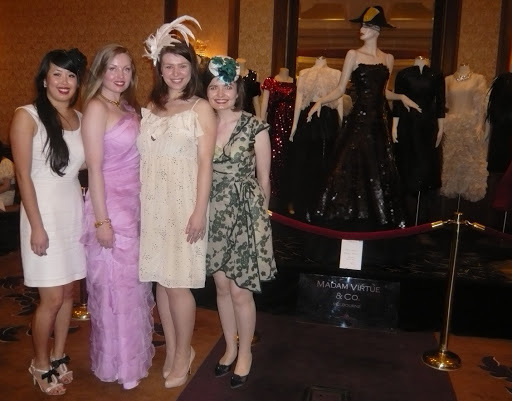 Offering the display a bit of competition: Lisa from Stylus Muse (more photos from the event on her blog), Kyra, Iolanthe and Jess. 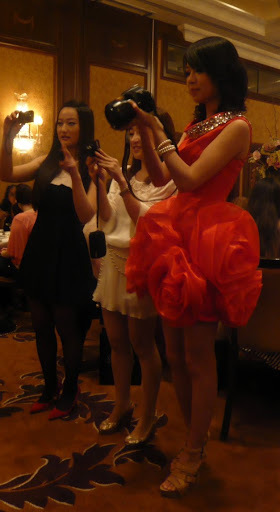 And a young lady in an amazing dress taking photos of the display. JC and Dean, the gents from Madam Virtue, were seated at my table (and were responsible for one of my friend’s wedding dresses!) so I got to have a chat. 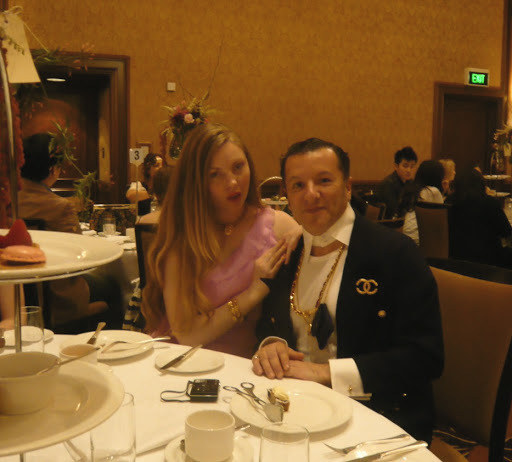 Here is JC with Kyra – check out his Chanel (the event theme was Parisian Chic)! He’s such a renaissance man: couturier, interpreter for the UN (he speaks TEN languages. I am in AWE) and he also has something to do with the legal profession. 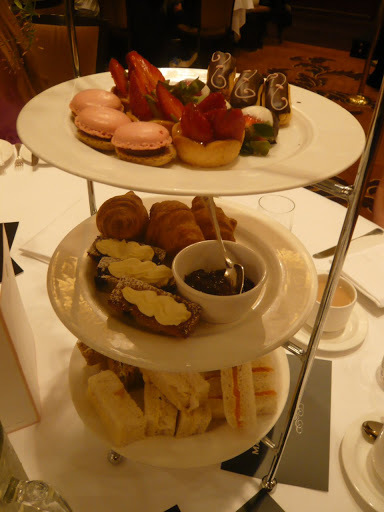 Who knows how he finds the time to attend high teas! 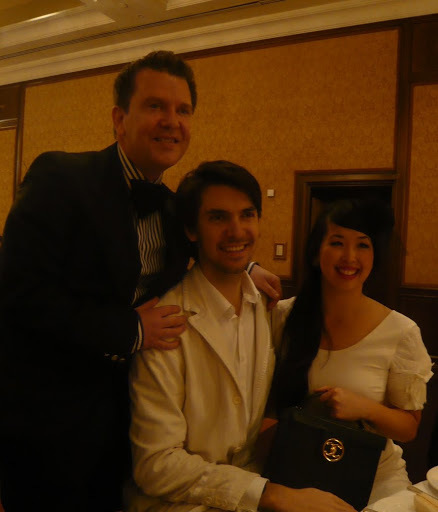 And here is Dean with Thom from Everyone’s Celebrity and Lisa again – more Chanel in the form of Lisa’s black box handbag. My own little bit of Chanel really was little. 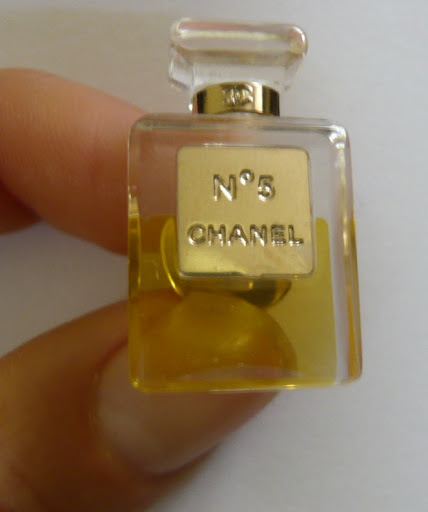 I got this perfume bottle brooch at a Chanel event ages ago when I worked in Tokyo, but have never worn it until now as I was so scared I would lose it! JC told me it’s quite rare and was originally only made for the Japanese market. 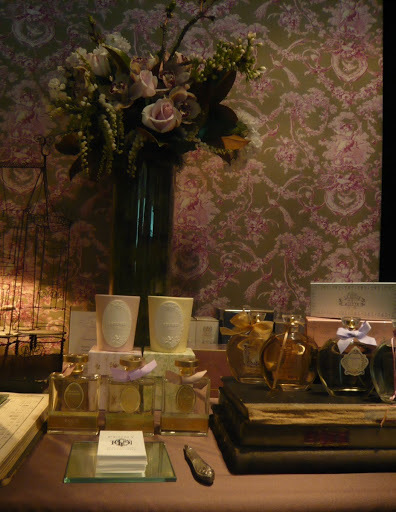 Speaking of perfume – I found the Peony Haute Perfumerie stall at the little market next to the high tea very interesting. 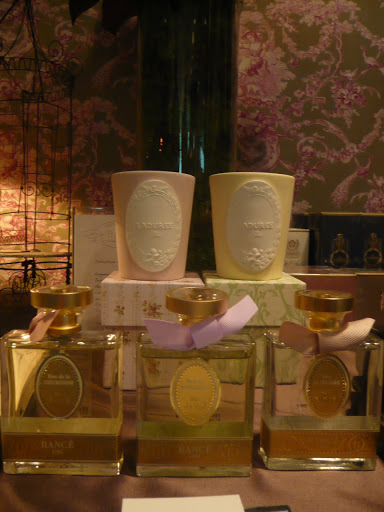 They stock the perfumes that were used by Napoleon and Josephine, among other beautiful products. 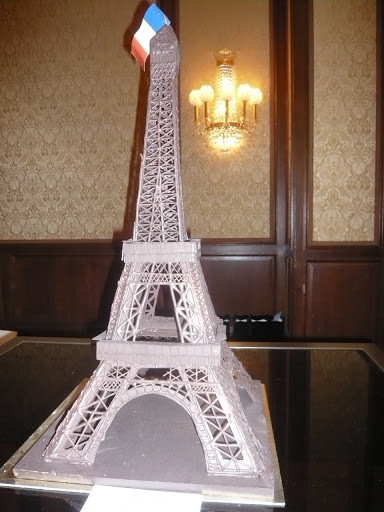 And this was pretty impressive too… an Eiffel tower made completely from chocolate! 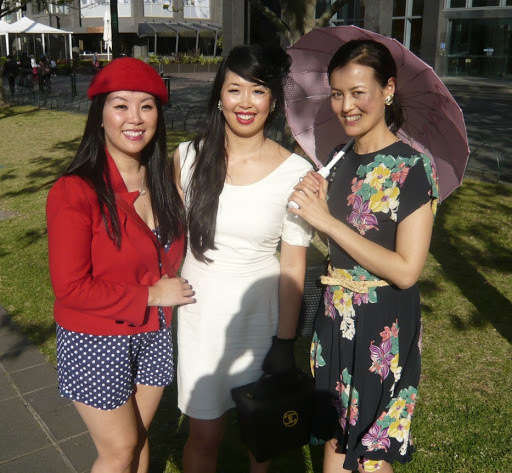 After the party was over, Thom took this lovely shot of us by the Yarra enjoying the sun. 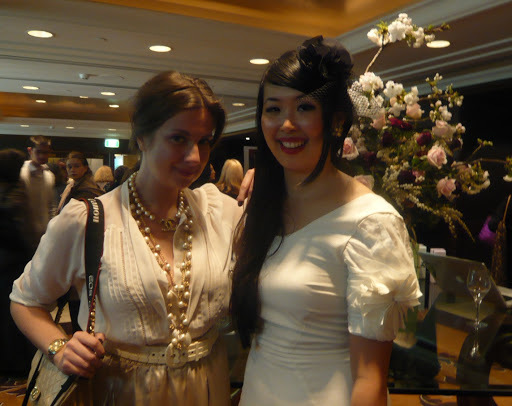 My dress was $10 at a flea market in Tokyo, I made the belt from a straw hat, and my parasol is by Chanel and was another freebie from when I worked at Vogue! Nice mix of high and low, yes?